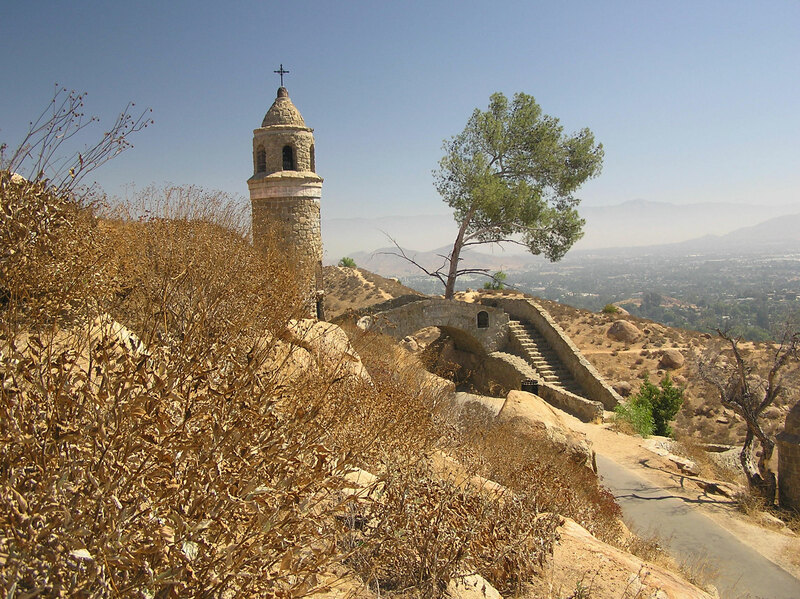 On August 13, 2010 we drove over to Riverside to visit the Mount Rubidoux Memorial Park. It's a great place for a strenuous hike since the up and back is about a four mile walk. The following pictures show the Peace Tower and the Memorial Bridge. 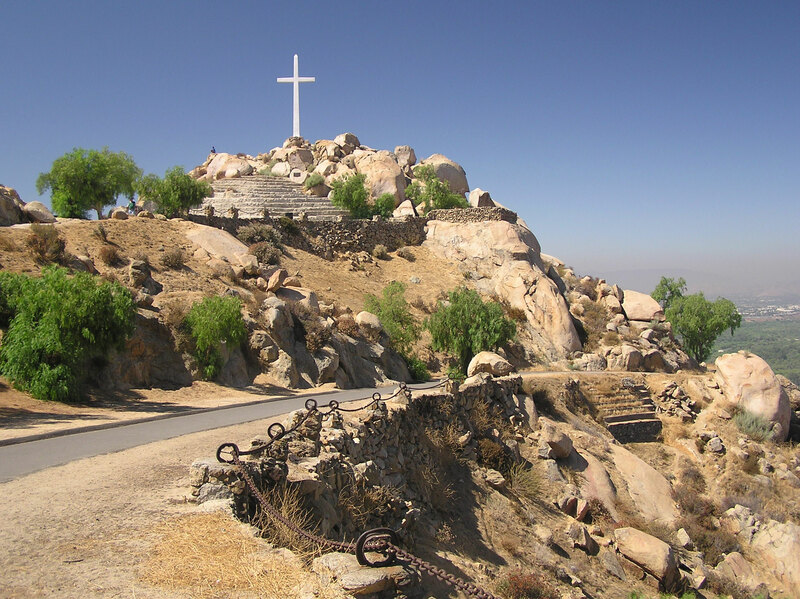 This is the Father Serra Cross located on the summit. 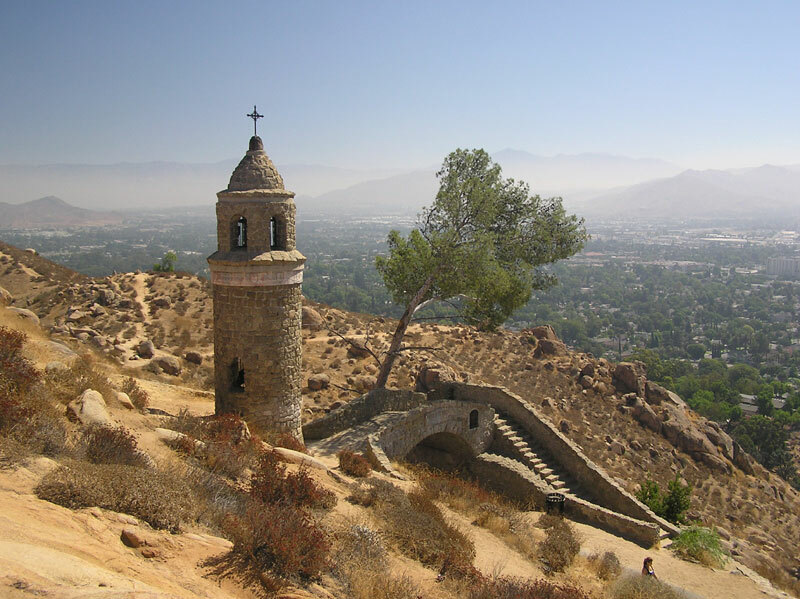 The town of Rubidoux is just to the west. 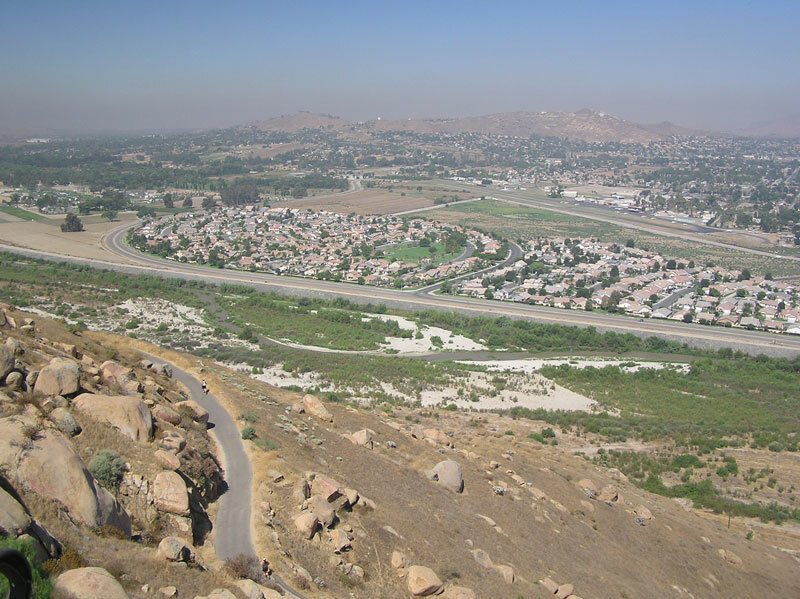 Note the typical modern CA subdivision in the center. 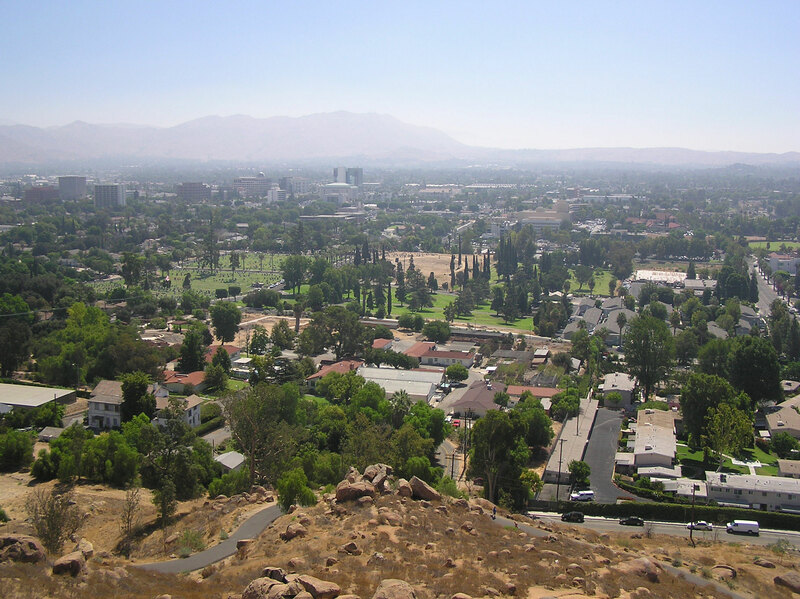 Downtown Riverside is just to the east with the San Bernardino mountains in the background. Rounding out this long day, we ate at Isabella's in downtown Redlands and then took in a ballet adaptation of "The Little Mermaid" at the Redlands Bowl.